Scheduled to open in late 2019, INNSIDE Kuala Lumpur Cheras will be encompassed by a 4-storey shopping mall of 288 retails and 105 unit of office suites. 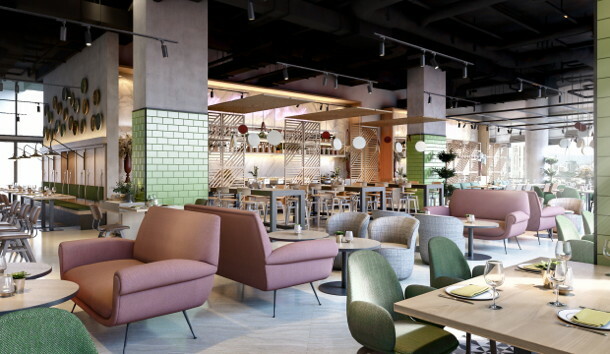 Meliá Hotels International has announced the signing of INNSIDE Kuala Lumpur Cheras, an urban hotel located within an integrated development project called Eko Cheras which boasts a green and sustainable design approach in the capital of Malaysia. Joining Meliá Kuala Lumpur and an additional 3 properties in the pipeline, INNSIDE Kuala Lumpur Cheras will be the fifth property for Meliá Hotels International in Malaysia, reaffirming the hotel chain's commitment to Asia Pacific. Located right next to MRT and an hour drive to the Kuala Lumpur International Airport, INNSIDE Kuala Lumpur Cheras is the perfect option for modern-day worktrippers, blending business and pleasure with its creative design and functional amenities. The Regional Vice President of Meliá Hotels International Asia Pacific, Bernardo Cabot says: "Malaysia is one of our key development markets in Asia Pacific and we're proud to bring our INNSIDE by Meliá brand to its capital, one of the most international cities in the region. With strategic location, convenient transportation and smartly designed facilities, INNSIDE by Meliá brings a unique accommodation experience for travellers looking to connect with the destination and easily switch from work to play during their stay. I'm confident the market will respond well to this brand."